Making Money after death? What are you talking about and why I will need money after death? Well, it’s simple, majority of us purchase insurance in order to secure family’s future. In case of unfortunate death family member will be paid with specific insurance amount. This amount will be used by family members to secure their future or to live life comfortably. In short you need to make provision for money after your death for your family members. There are various ways to make this provision. Simplest way to place money on interest or to take insurance. Apart from these several other ways exist to make money after death. Sounds interesting! Well, I have a live example where people are making thousands of dollars after death. So today let’s talk about 5 different ways to make money after death. Let me clarify this type of income is also known as royalty income or residual income. Also Read – How to Generate Residual or Passive Income? What is residual income or royalty income? 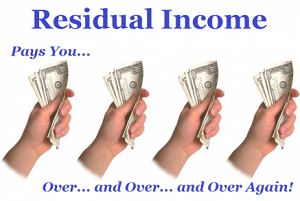 Residual income is also known as recurring income or repetitive income. In order to generate the residual income, you need to work only once and income stream will continue for few years or even after your death. You might be surprised to note that Michael Jackson is word’s top earning dead celebrity, last year his earning was $115 million. This money is towards a sale of music albums created by him – royalty income to his family. I am not telling you to become a celebrity for generation of this type of income but, I will be sharing similar other ways to generate this type of residual income. Today majority of us focus on linear income that means one-time income in terms of salary, commission, wages etc. Apart from linear income, we should also focus on the generation of residual or royalty income. In order to generate this type of income, you might need a special skill. It is worked based income suppose you have written a good book, created a unique software program, recorded music album or invented a new product. You can transfer the rights of this work done to a company that agrees to pay you a percentage of income each time copy of your work is getting sold. Next way of generating residual income is through network marketing program. This program is also known as reseller, referral or affiliate program. Under this program, unique ID is given to every associates and company track the performance based on this unique ID. Income level depends on your performance. Before joining this program kindly check the track record of the company terms of payment and commission type. You can make your own information product and carry out self-publishing to earn this type of income. One such example is starting a website where you regularly publish this type of product information and make money. You will be paid by affiliates or by advertisers. If you are a landowner of the property where it is likely that petroleum or mineral will be found after drilling. You can contract with Oil Company to drill a well in your property and in exchange ask for a percentage of revenue. This income depends on the availability of the resource in the land. Last way to earn money after death is by making Investments. It is one of the simplest ways to generate residual income, however, it requires a lot of capital. You can purchase real estate and earn recurring income from rent. You can also make an investment in stock market and earn residual income via a dividend. However, income level will depend on invested amount and asset type. Remember residual income generation is hard and time-consuming. However it gives a promising result for many individual today and it is considered as one of the best income types. What is your take on this do you really need residual income? Which one of above is a suitable way to make residual income for you?